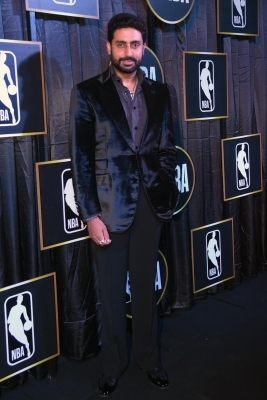 Kolkata, July 28 (IANS) Discarding thoughts of any distraction, Bollywood actor Abhishek Bachchan feels working closely with sports franchises has motivated him “to do greater things in life”. Junior B is the co-owner of football side Chennaiyin FC in the Indian Super League (ISL) and owner of Jaipur Pink Panthers in Pro Kabaddi League (PKL). “I keep a balance in my schedules so that nothing gets affected. My involvement in sports allows me to interact with many athletes and that motivates me as well to do greater things in life,” Abhishek told IANS in an email interview in the backdrop of PKL season five which has four new outfits vying for top honours, making the competition a 12-team affair. The teams have been divided into zones A and B of six teams each, where each will be playing 15 intra-zone and 7 inter-zone matches, prior to the play-offs. The 13-week season will have top three teams from each zone qualifying for the play-offs. “I am so proud that Kabaddi has passed every hurdle and is leaps and bounds ahead from where we had started three years ago,” Abhishek said. “His consistency has been substantial and he has already started fulfilling his role as a captain. His experience will obviously make the team more confident on the mat. My expectations? As any team owner would say, to win,” he added. “Jaipur Pink Panthers has always believed in young talent, which we have again showed faith in. We have been keen on creating a mixture of new players as well as key experienced strategists like Jasvir (Singh), Manjeet and Navneet (Gautam),” he said.